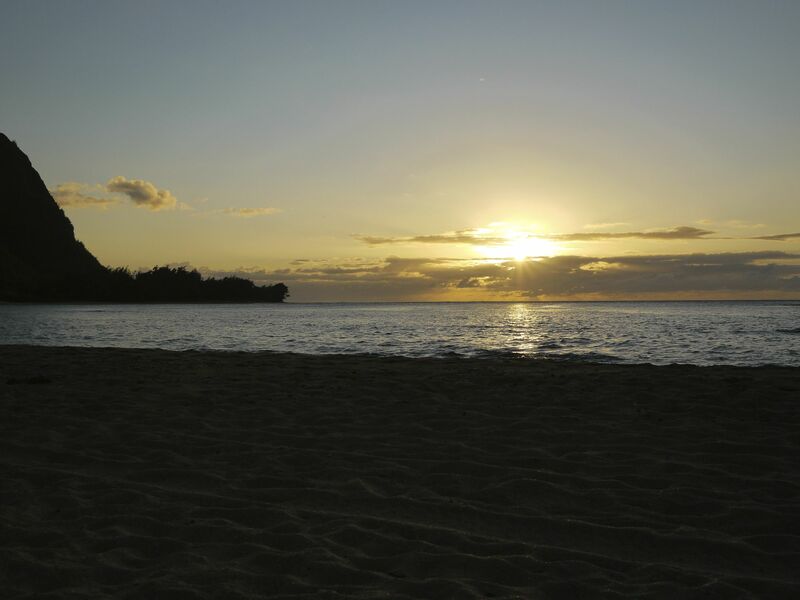 It was bittersweet to wake up today, knowing it was our last full day on Kauai, but we are ready to start the journey home. As usual we started the day with Kauai Coffee and a bowl of fresh fruit. 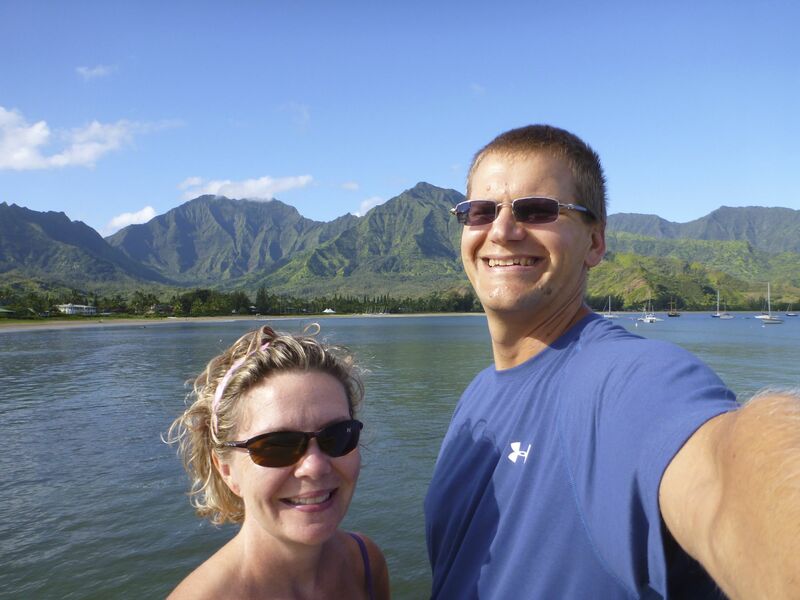 After our nourishment, we needed exercise and off we went to walk Hanalei Bay. From end to end it is said to be 2 miles, so we did a lovely 4 miles on the beach. We walked out first on the pier to gaze at the mountains that circle around the bay. 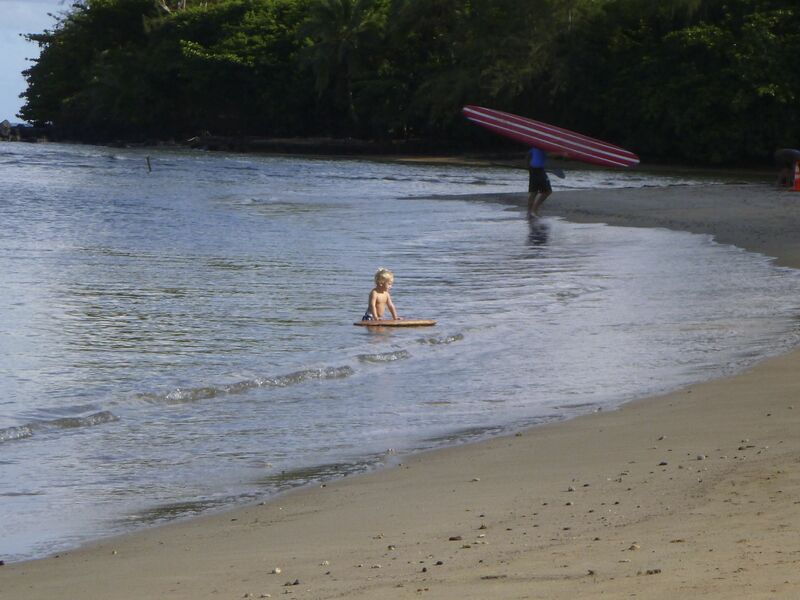 As we left the pier, we watched a little towhead boy, walk with his surfboard. 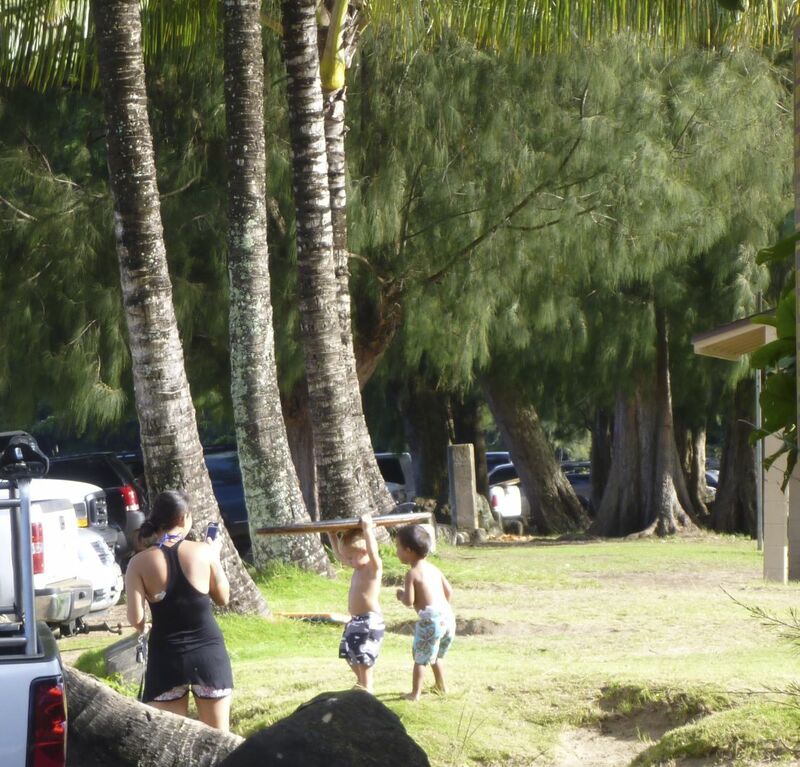 This little boy is the epitome of what Kauai is and the surfing culture that is Kauai. The walk was beautiful and it represented the lifestyle of Kauai. We watched tai chi on the beach, surfing lessons for tourists, paddle boarders enjoying the calm of the morning, a single woman doing yoga, a dad and his son riding waves, families laughing in the water, friends walking and every one was in the moment enjoying it. 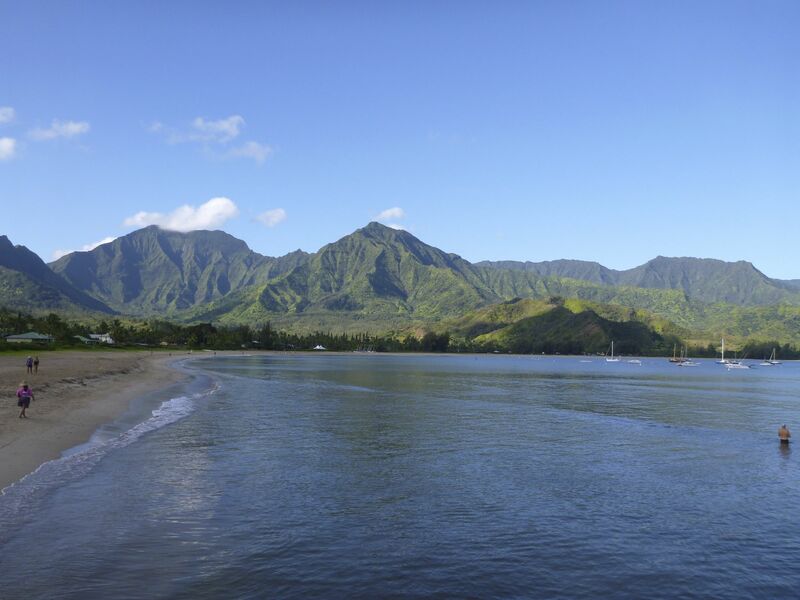 We left with not a heavy heart, but one of satisfaction, that we had this time to enjoy the beauty and peace of Hanalei Bay. We returned to the house to clean and pack. Unfortunately, last week my feet were burned on the sand and the blisters that developed finally gave way, so we spent time working on my feet and trying to figure out the proper shoes to wear home. Reality of re-entering our life we left behind is fully gaining on us. 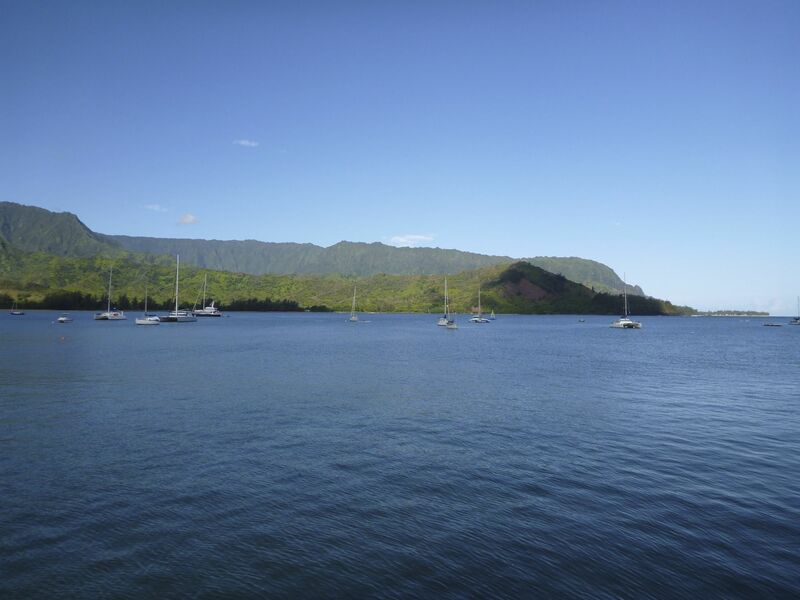 We returned to Hanalei to have our last lunch out. We settled on Hanalei Dolphin at the bar. 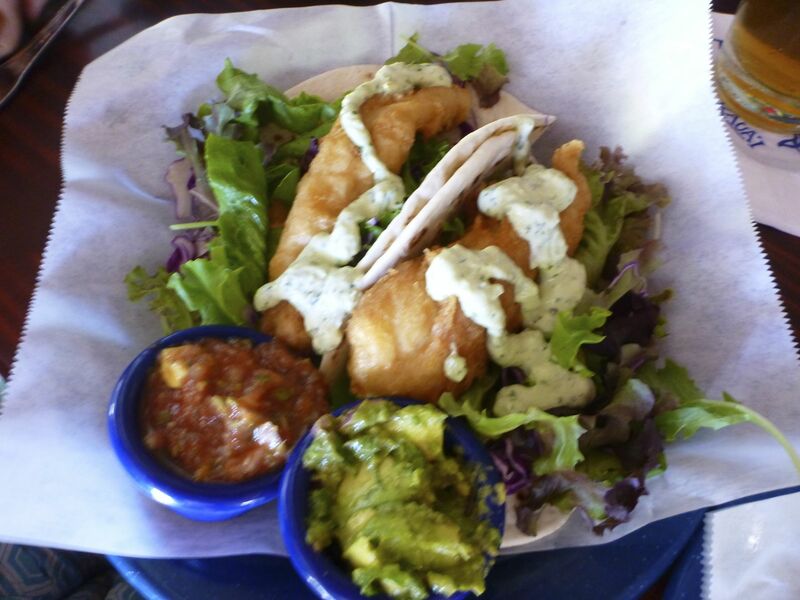 Mike had the fish taco. 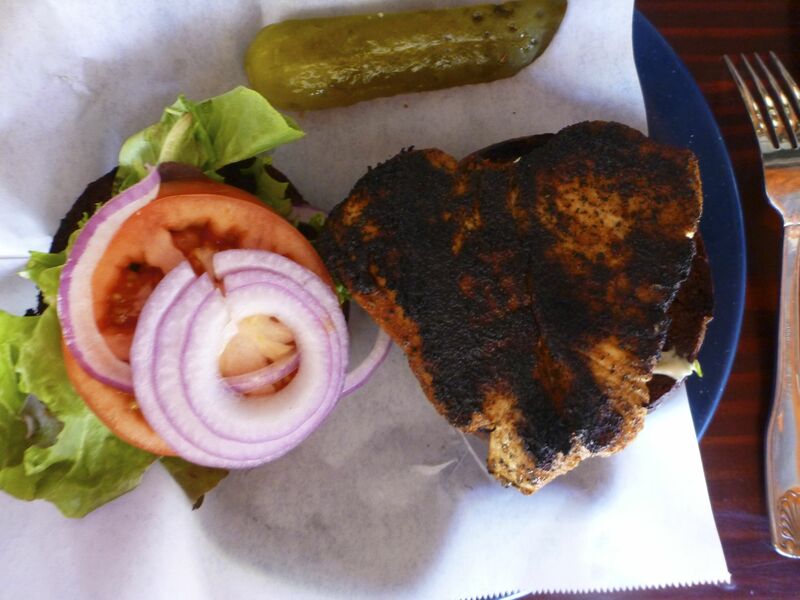 and I gobbled down a cajun marlin burger. First time I’ve had marlin, a bit of a dry fish, but so tasty. 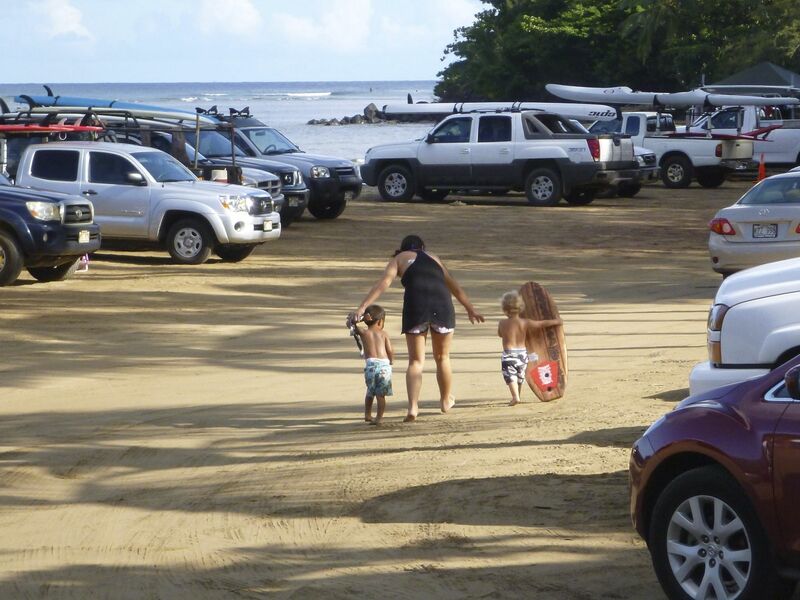 We both agree though that Da Crack has the best fish tacos on Kauai. After lunch and not a good night’s sleep (no not because of the roosters), we had to nap and my feet needed more loving care. After nap time, we did a bit more cleaning and laundry. As usual when we eat out at lunch, we don’t do a big dinner, so we just noshed on leftover food. Then it was time to have our last sunset. Down we went and shared the night with our friends with Cheri and Mel. Stories were shared, promises made not to go public with them, laughs abounded and pictures were taken. Cheri is a great photographer and in time I will have the evenings photo session to share with everyone. The sun didn’t dazzle us, the fun night we had will be the memory we cherish.